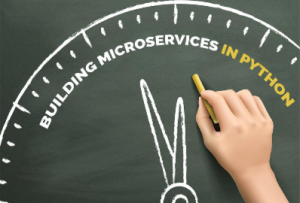 Microservices is also known as the microservice architecture – is an architectural style that structures an application as a collection of loosely coupled services, which implement business capabilities. The microservice architecture allows the continuous delivery/deployment of large and complex applications. It also enables an organization to evolve its technology stack. * The pattern language enables the user to decide whether microservices are a good fit for their application or not. * The pattern language enables the user to use the microservice architecture successfully. Explore this article and know how to build microservices in python. * User deploys only the component that was changed. This keeps the deployments and the tests manageable. * If multiple team members are working on the application, they need to wait until everyone is done with development and testing to move forward. However, with the microservices services model, whenever each piece of functionality is ready, it could be deployed. * Each microservice runs in its own process space, so if the user wants to scale for any reason, he canscale the particular microservice that needs more resources instead of scaling the entire application. Let’s examine how the configuration would look for a Python and Django application that runs on Nginx on a typical Linux server. As the application code is spread across multiple repos grouped by a logically independent code, this will be the typical organization of the application directories on the server. Microservices Building Microservices in Python by admin.